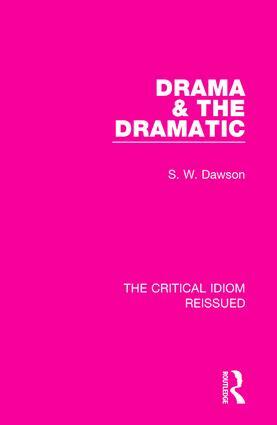 First published in 1970, this book explores drama as literature and provides critical overviews of different aspects of drama and the dramatic. It first asks what a play is, before going on to examine dramatic language, action and tension, dramatic irony, characters and drama’s relationship with modern criticism and the novel. This book will be a valuable resource to those studying drama and English literature.